The blog was pretty quiet this week. I posted a review for GOLDEN by Jessi Kirby and gave it 5 stars. My other two posts were basically cries for help lol. My first plea was on the behalf of Charlotte and Ezra, the main characters in my latest novel, WAITING FOR THE STORM. Sales for the book have been really slow and it’s breaking my heart that people aren’t experiencing Charlotte and Ezra’s story. It’s my favourite book I’ve written, and the reviews that have come in have been awesome, there just aren’t many of them. I’m having a fan appreciation even where I’ve reduced the price of my first novel, BLUE SKY DAYS, to 99 cents until July 11th, and I’m offering people who review WAITING FOR THE STORM a chance to win a $25 Amazon gift card and $25 PayPal cash. I’d be so grateful if you’d check out the Fan Appreciation Event and consider either buying BLUE SKY DAYS on sale, and/or buying and reviewing WAITING FOR THE STORM. My second post for help was about the Canadian Reading Challenge where I asked whether there was enough interest and if anyone would be willing to co-host with me. I'd never heard of The Robber Bride before this week, but it's about a girl who's a Robin Hood-type character (I've been obsessed with Robin Hood since I was, like, three), plus it was free! I've been wanting to read Going Vintage and The Summer of Skinny Dipping for ages, so I was excited to find them both on sale this week on Kindle. I still need to get to "On Dublin Street". Happy reading! The Summer of Skinny Dipping sounds interesting! Enjoy all that you got! Thanks for sharing and happy reading. On Dublin Street was so good. I hope you will like it as well. I enjoyed it a lot. Your cover is very different than the one I had. Come check out my haul of books as well. Fantastic choices! I see we have one in common. Happy reading! Robber Bride sounds so good! I hadn't heard of it either, but a girl Robin Hood rocks. Going Vintage and The Summer of Skinny Dipping look like nice beach reads. Yay for getting them on sale :) I love ebook sales. Nice haul! I've been wanting to read The Summer of Skinny Dipping for a long time, so I'll be interested to see your thoughts! Happy reading! GAH, Going Vintage. LOVE LOVE LOVE LOVE LOOOOVE. Hi Marie! I found your blog through the linky list for Stacking the Shelves, not even realizing that your book is on my post this week!! How funny. If it makes you feel any better, I can't wait to read WAITING FOR THE STORM! 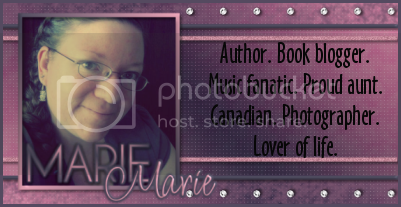 I jumped at the chance to be a part of the blog tour. I've been dying to read GOING VINTAGE! I read it's such a cute story. THE SUMMER I WENT SKINNY DIPPING looks really good, as well. A wonderful set of books Marie! I really enjoyed On Dublin Street and I have been curious about Going Vintage, I love the cover.